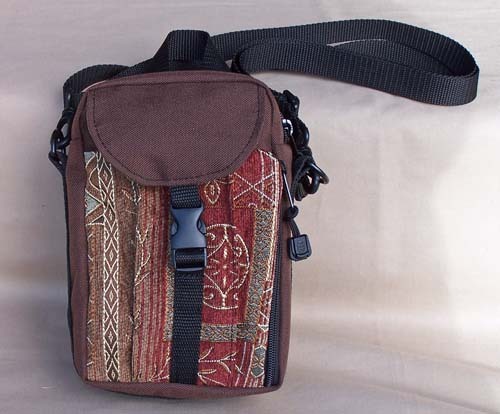 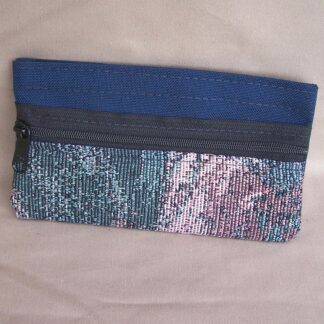 Tapestry Tall Purse: A compact yet organized and flexible purse. 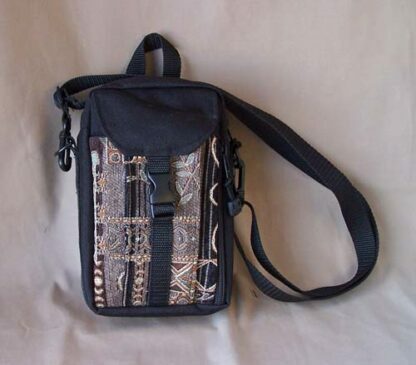 Hang it off your shoulder or crossbody. 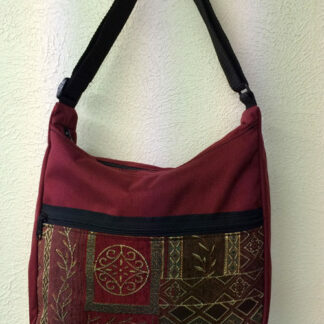 Tapestry Tall Purse (9H x 6L x 4D) Called a “Tall” because it is taller than it is wide. 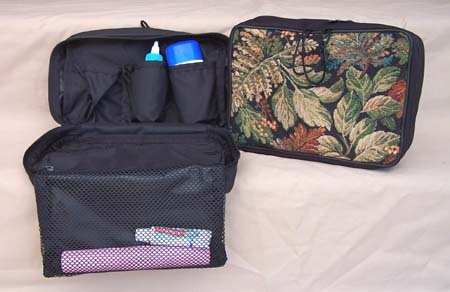 Three Compartments! 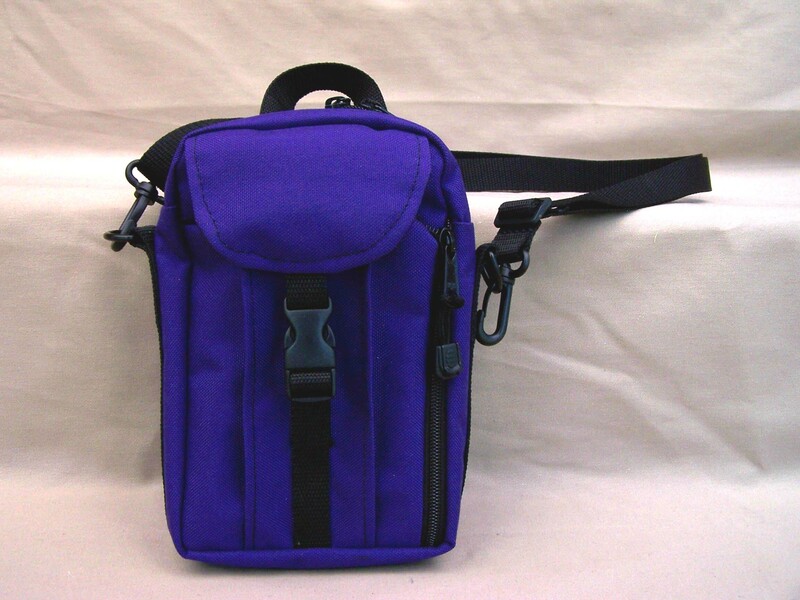 Front compartment has top flap AND side zipper for easy access to cell phone. 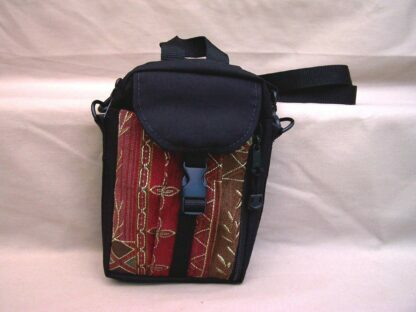 Back compartment has credit card holders, pencil holders and more. Roomy main compartment with another interior zippered pocket. 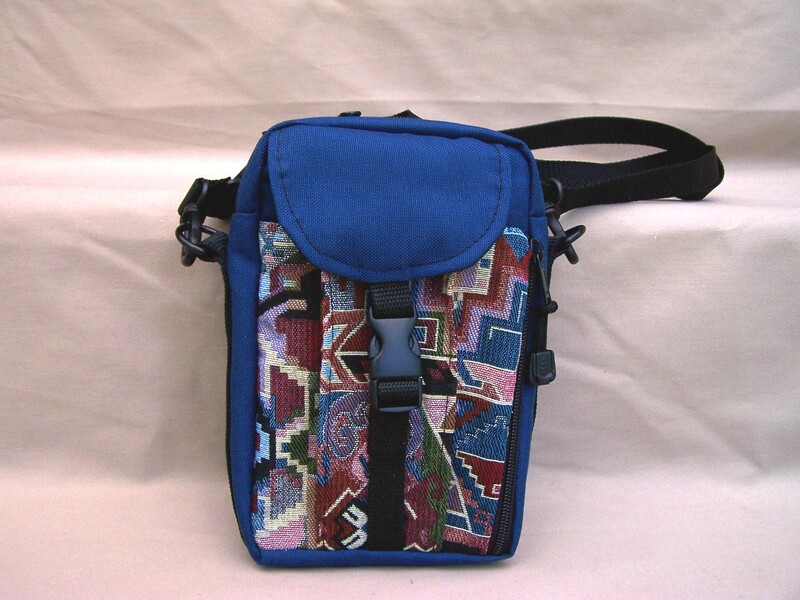 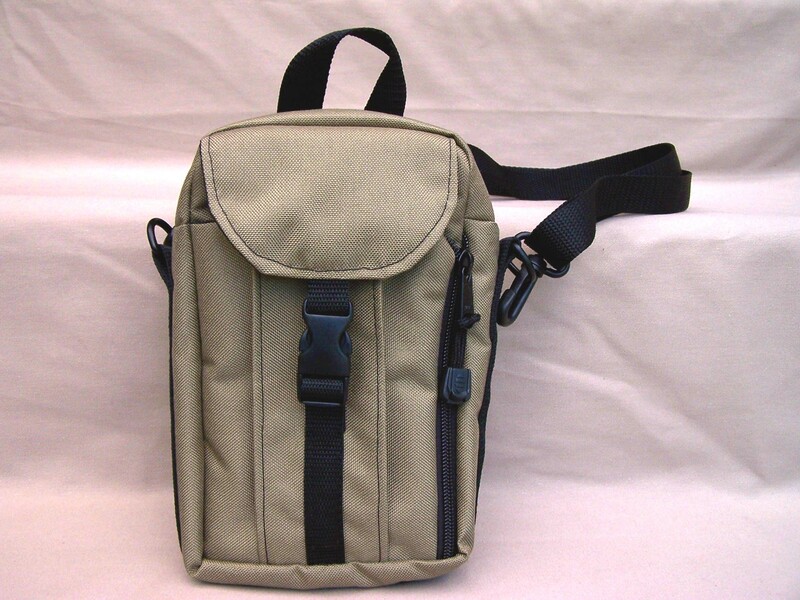 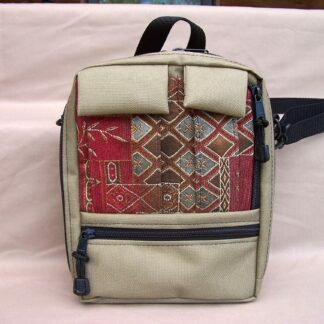 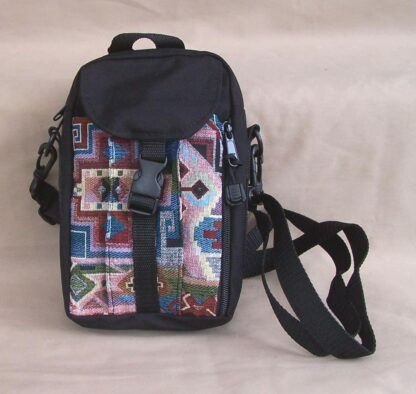 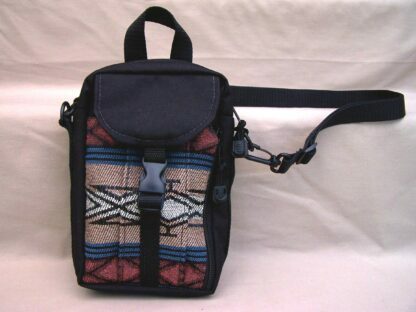 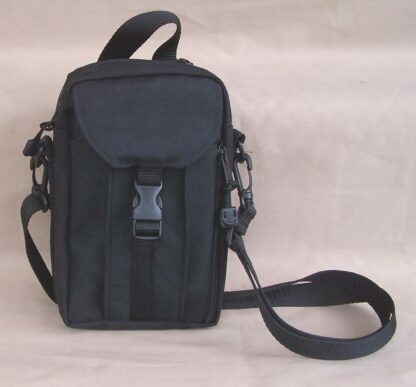 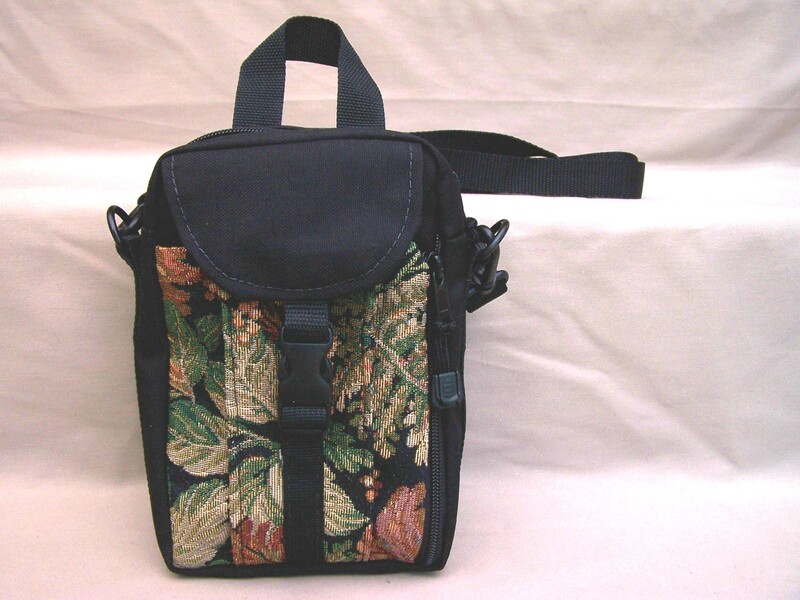 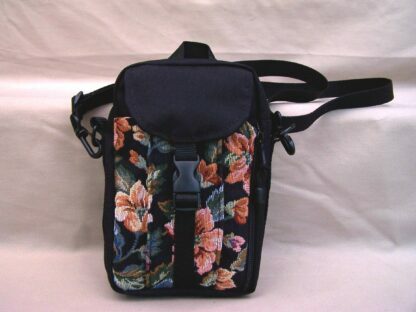 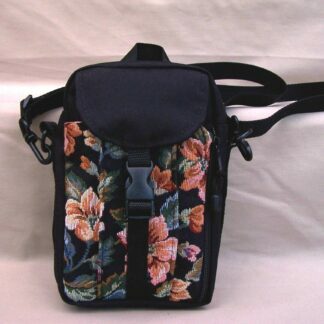 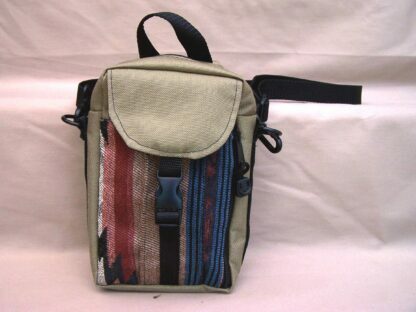 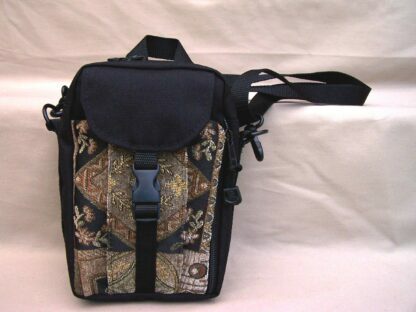 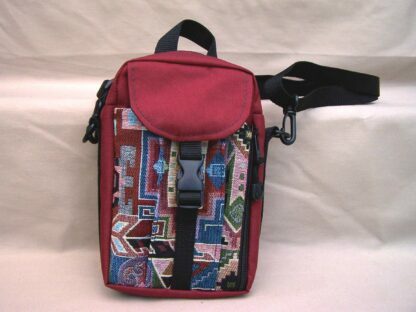 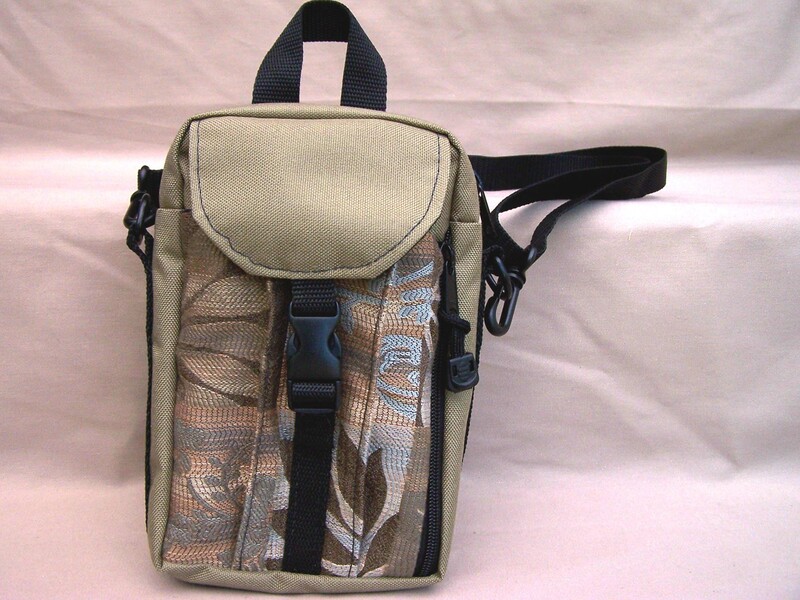 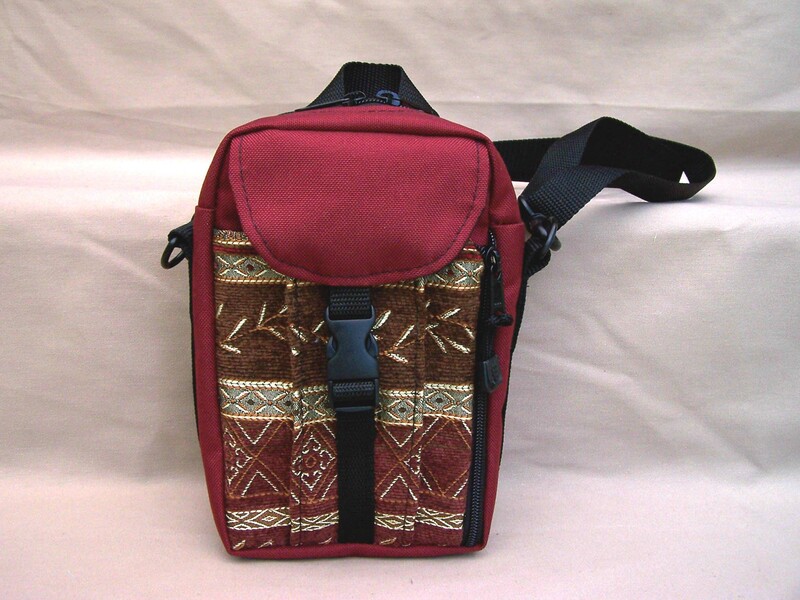 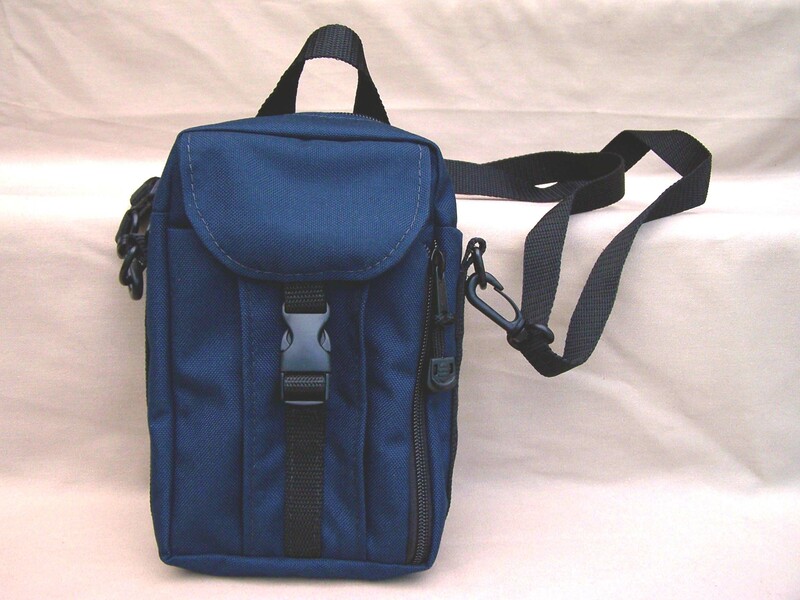 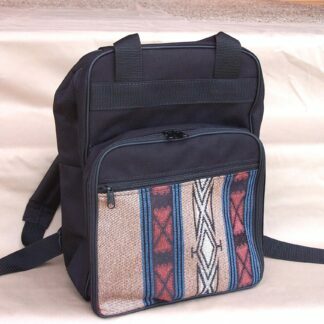 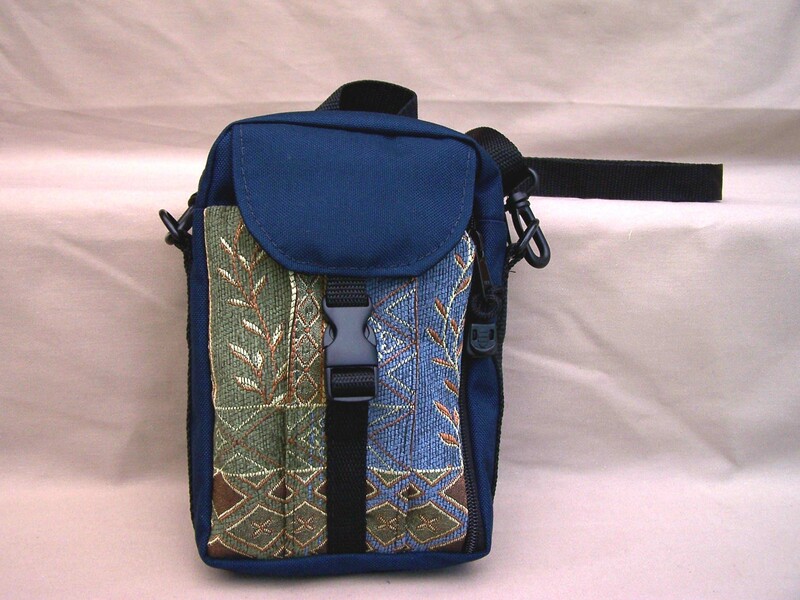 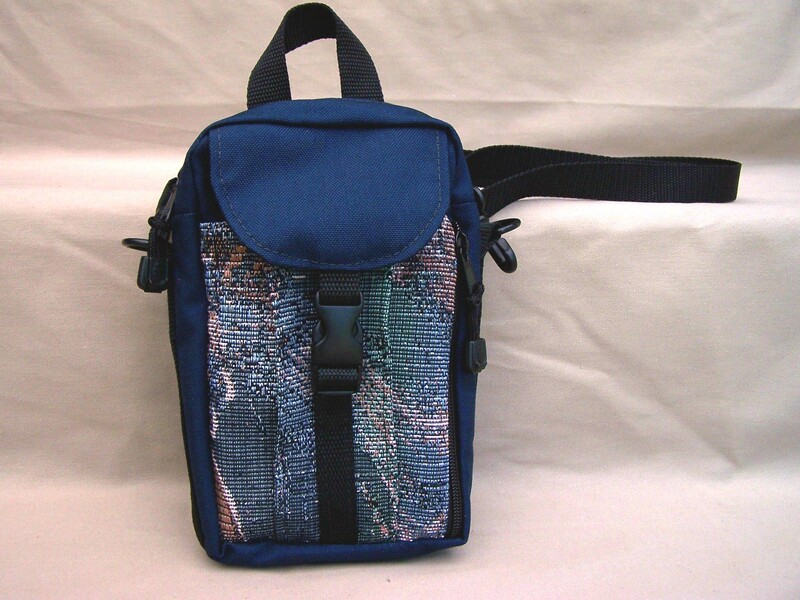 Extra long shoulder strap allows you to carry the bag over the shoulder, crossbody, or (by threading the strap through the handle) it converts to a backpack.